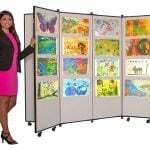 Screenflex Art Display Systems are the easy, economical, and portable way to display information or create stunning portable art shows or exhibits. 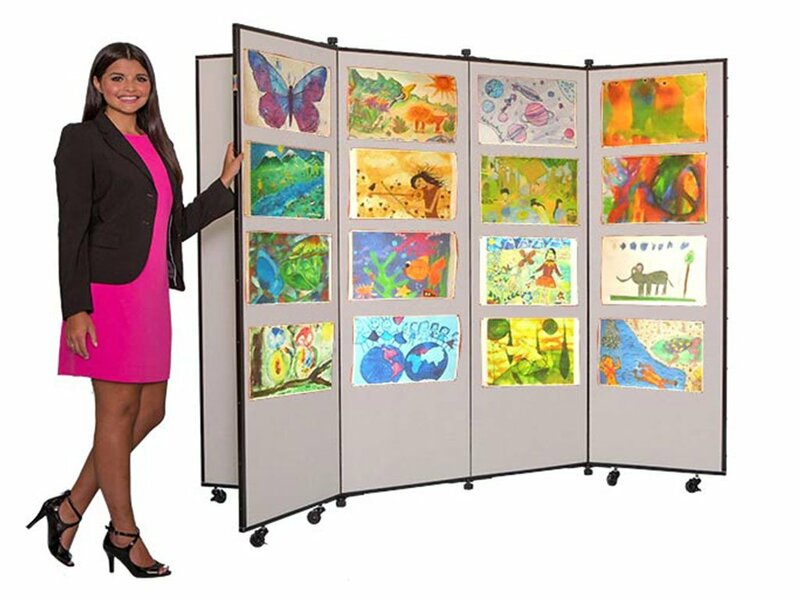 Each art display system is constructed from sound absorbing, tackable panels covered with long-lasting fabric. Screenflex display systems arrive fully assembled and ready for use! 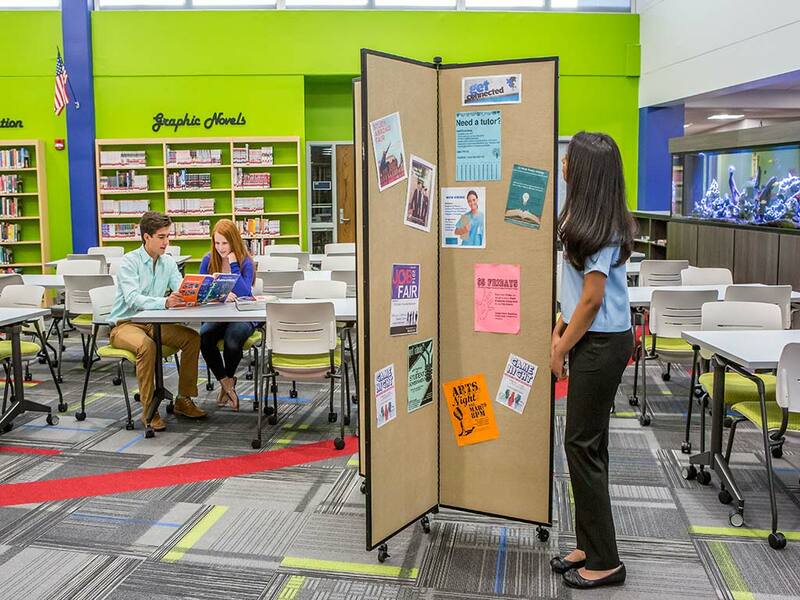 Create instant information stations, display artwork, registration materials or directions. If desired, the unit folds compactly when not in use. 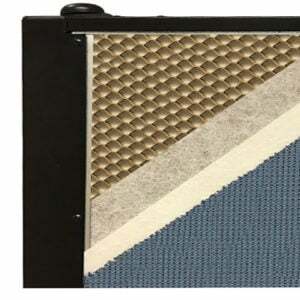 A durable black powder coated steel frame surrounds each Display Tower panel. Additionally, durable locking caster wheels secure the tower into place. 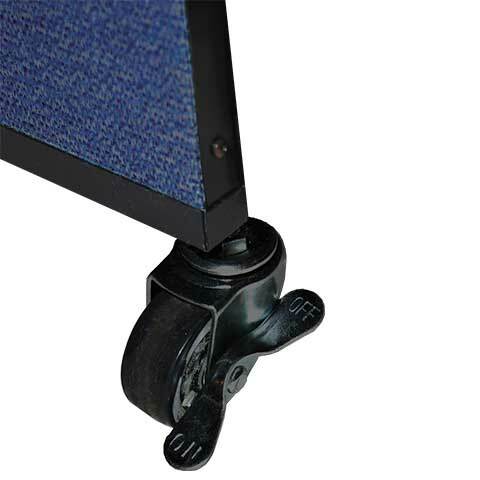 Pedal activated brakes on Locking Corner Casters keep the Display Tower panels secure and steady. Our self-leveling casters swivel 360 degrees for easy positioning and setup. 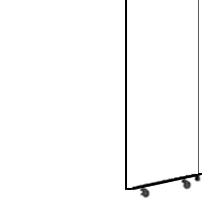 To keep your Display Tower in the desired open position, panelocks provide the answer. 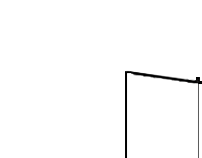 The 3-panel Display Tower has a 1 PaneLock on the top and bottom of the middle hinge and the 6–panel display tower has three PaneLocks on both the top and bottom of the two middle panels. 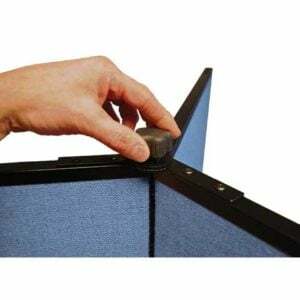 A simple turn of the rubber coated Screenflex PaneLocks secure the room divider panels in place at any angle. 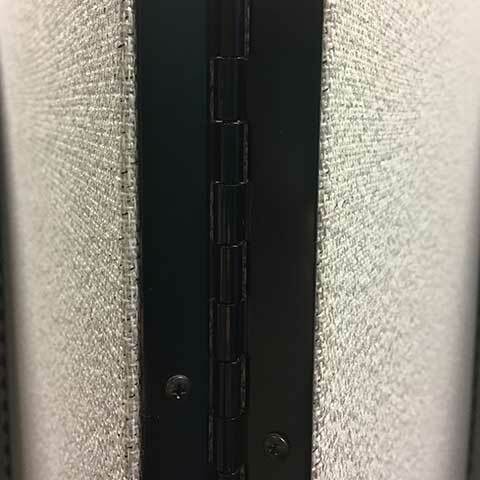 Black metal full-length hinges connect to each tackable panel every four inches form top to bottom, to provide strength and stability. 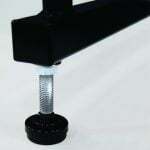 Non-rolling, self-leveling Glides can be used to replace casters on all divider legs. 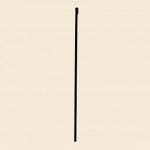 The adjustable glides are ideal when a semi-permanent use of the partition is desired. 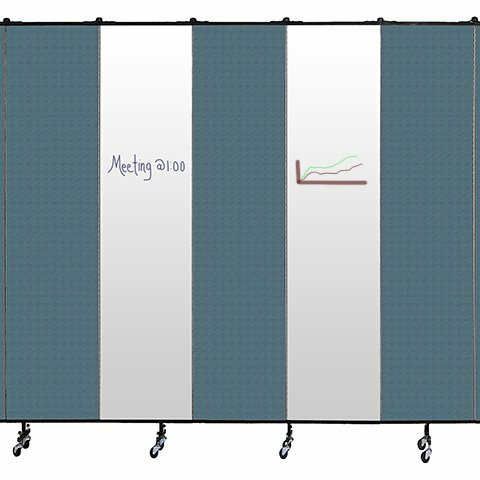 Available on dividers up to 6'-8" in height only. Screenflex is lucky to have you, Lourdes. 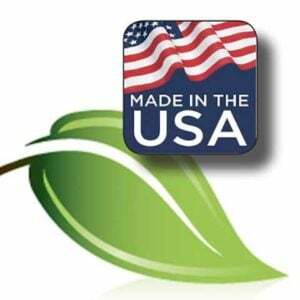 Your knowledge of the product and willingness to find the best product for us is impressive. They are perfect for our Middle School art shows! 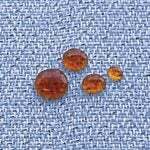 Our buying experience was awesome. We like that the dividers store flat for storage. 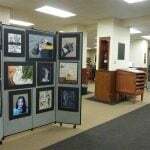 We needed display boards for our art teachers to display artwork at their schools and our Fine Arts Festival. We appreciate the quick responses from your team. We needed display tower and room dividers for our church for many uses. 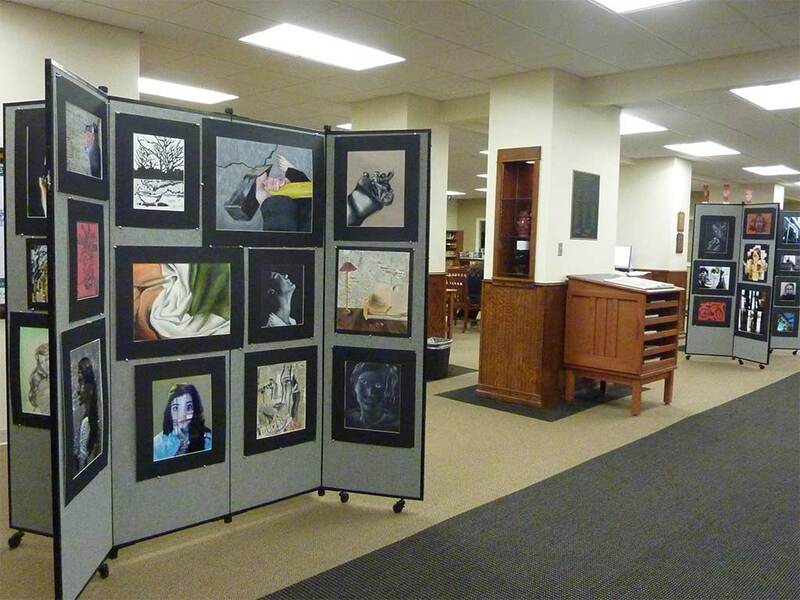 We ordered the display towers because we needed to display art. We had a good buying experience.